"Thank you so much Miss Janet for everything you have done to help us! Thanks for all the support and answered questions, advise and wisdom. And most of all thanks for sharing the Lord's heart over his people. Your mothering caring way was such a HUGE refreshment and help through this!. OK, yes, so I broke down and just cried once after being on the phone with you because of how kind the Lord's heart is and He blessed me so much through you. Please keep mothering whomever the Lord brings you because He really seems to be able to love powerfully through you in that way!" "We had a very professional and comfortable experience using Janet Reilly as our agent. We have recommended Janet to someone else and they too were very satisfied. Janet's personality is very down-to-earth and easy to work with. She has been in this area a long time and knows and understands the people. Her knowledge and experience of the buying/closing process guided us through our purchase in a smooth fashion. We will use Janet Reilly again!!" "We loved working with Janet. She is very professional but was also very down to earth and made sure we understood every step in the process. She was very patient with us and really worked with what we were looking for. In the end we have found the perfect home, and we recommend her to anyone needing a local realtor. Since helping us she has also helped my mother and our best friends! Highly recommended!" "Janet did an amazing job helping me purchase my first home. She was extremely knowledgeable of Bartlesville, the areas around the houses she was showing me, and very straight forward about houses themselves. She didn't try to sell me anything outside of my price range or push for the more expensive options. She spared no effort in maximizing my finance options as a military veteran and would recommend her in a heartbeat." "The service I received from Janet Reilly seven years ago was of great value in selling my home and helping me to find another place to live. I am now in the process of moving again, I will contact her and use her knowledge in selling and finding a new place to live in the Bartlesville Oklahoma area. I also recently had to sell a home in another town 90 miles away from Bartlesville she helped me to find a realtor in this other area. She gave me advice on the selling process of that house when I asked her opinion. I have recommended her to others in selling or buying a home." "It was a smooth and easy process. I would defiently recommend her to everyone. I will also use her when looking for a new place. She made the process very simple. She was available to answer questions in a timely manner. She went above and beyond when making a list of homes to look at. She was great showing me all that I wanted to see"
"Janet was wonderful in helping us find our perfect home. Always available and got back to us immediately. Even when we were not so sure what we wanted." "I would recommend Janet to anyone seeking a local realtor with several years of industry experience. She is very professional and looks out for the best interest of her clients! Absolutely love her. If I ever need another realtor in the future, she will definitely be the one!" 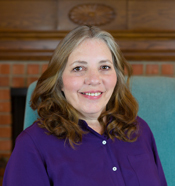 "Janet recently helped us purchase our first home. From start to finish, she was always there to answer our questions and walk us through the process. Her sweet spirit and knowledge base helped put us at ease and choose the perfect home. We highly recommend her to anyone looking to buy or sell a home!! Thank you Janet!" "There is no doubt that I would still be looking for a home if it weren't for Janet. She knows the market, and just about everyone in it. This is a huge benefit when looking for a home. She worked very hard for us, while being 100% honest the entire time. I would definitely recommend Janet to anyone looking to sell or buy a home"